How can I find which purchase orders contain a certain product? 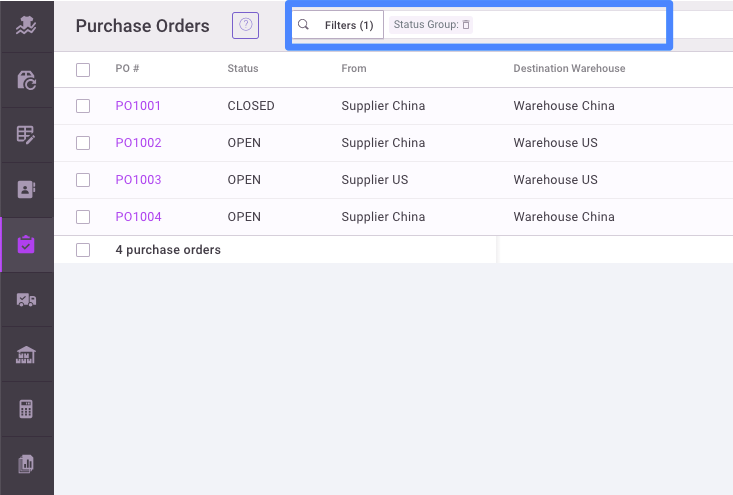 When you are looking at the Purchase Order dashboard, you will find a search bar where you can input products and find the corresponding PO. 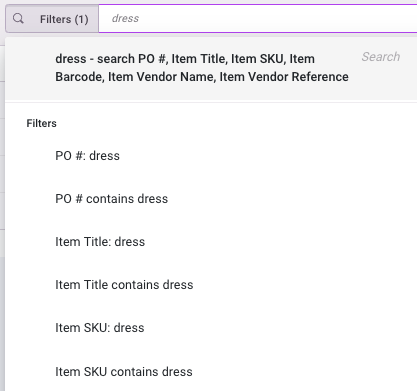 Type a product tile, keyword, SKU or other identifier here, or select from filter types suggested. Any purchase order matching your search terms will now show on the purchase order dashboard.